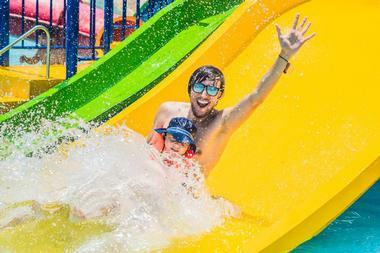 Whether you prefer cooling down with the wind blowing in your face as you soar on a roller coaster or you’d rather jump down a water slide face first so you can catapult into the refreshing pool below, there’s an amusement park in Dallas for you. You can stick to what you know and love by heading over to Six Flags Over Texas or try something with a bit of a Texas touch at Fair Park. Want a more “adult” amusement park that’s got massages and saunas but also has crazy rides? Spend the day at the King Spa & Water Park, which has a play pool filled with slides but also the Bade Pool complete with poolside bar. There’s no better way to spend a day in Dallas than at one of the following amusement parks. King Spa & Water Park is not your typical amusement park filled with only those thrilling rides that everyone loves. They do have all of that, but they also have a serene, calmer section to just unwind, get massages, and float around as you sip drinks from the poolside bar. It’s the perfect combination of exhilarating waterslides and relaxing lounges. 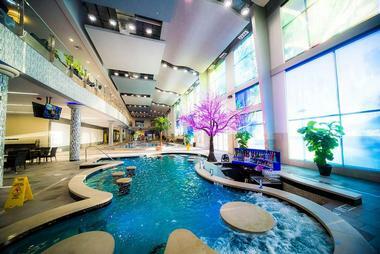 Popular aspects and services include the Base Rock Room, the Bade Pool, a play pool, and the Fire Sudatorium. The park is open all year long, though timings do vary for the waterpark, sauna, and spa; when going with younger children, keep in mind that the play pool is only open Friday to Sunday from 10:00 a.m. to 9:00 p.m.
Legos are loved by people of all ages, so if you’re in Dallas and looking for a way to spend the day with the kids or with your coworkers, head over to LEGOLAND Discovery Center. It is the ultimate indoor playground and has three rides, a 4D cinema, ten Lego build and play zones, and much more. The spectacular MINILAND is a popular attraction and is built with over 1.5 million Legos; while there, don’t be surprised when airships swoop down from above! Younger visitors will love helping rescue the captured princess in Kingdom Quest but will need to be wary of the beastly trolls that pop up along the way. 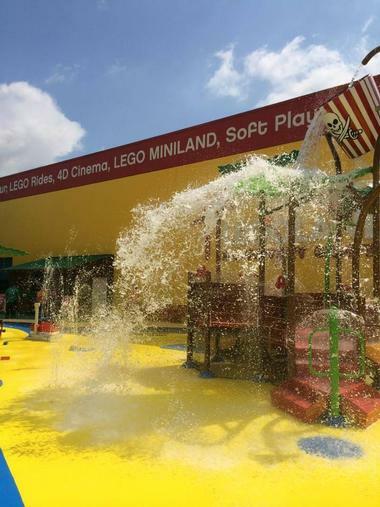 The entire family will enjoy exploring LEGOLAND, where anything is possible. Get ready for a day of splashing down slides, lazing around on floats, and just watering off that hot summer heat at NRH20. Entrance to the family waterpark ranges between $20 and $30 depending on height, age, and whether you purchase tickets online or at the entrance booth. 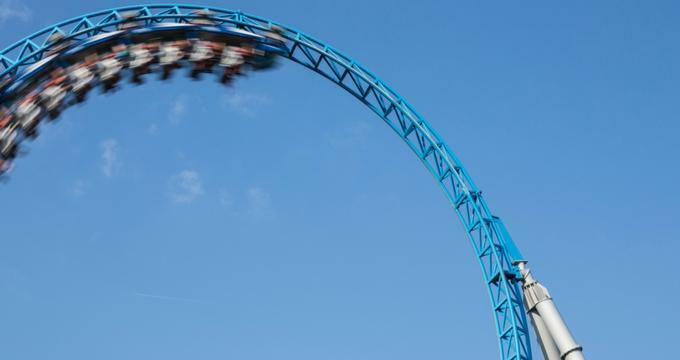 The Sidewinder is the first place all the thrill-seekers head to; it’s a 330-foot-long body slide that catapults the rider down and then drops them in a 60-foot freefall. If you’re looking for something calmer, head to Beachside Bay, where you can sunbathe on the white sand beach or play a game of sand volleyball. 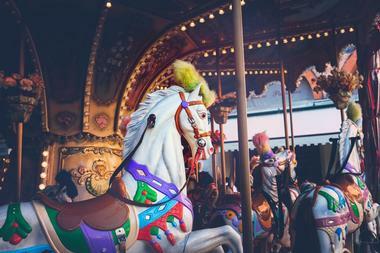 Sandy Lake Amusement Park is the place to go if you’re in the mood for some quality family time and is considered one of Dallas’ best picnic locations. There are pavilions with picnic benches, surrounded by beautifully landscaped surroundings in which to dine. If you didn’t pack a basket, don’t worry; the refreshment stand has delicious hotdogs, nachos, ice cream, and much more. The real excitement though are the attractions, which range from rides, swimming, and mini-golf to paddle boating and an arcade. There are rides for visitors of all ages, toddlers and adults alike, with one of the favorites being the train, which takes you on a scenic ride around the park. 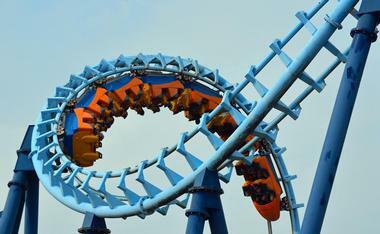 Six Flags Over Texas is a 212-acre theme park just a short drive from Dallas. The park has been around since 1961 and has 45 rides and attractions, including ten roller coasters and three water rides. The Joker is one of the most sought-out attractions there and flips riders head over heels as they go on a chaotic ride that wreaks havoc, just like the Joker. Passes can be purchased for the day or for the season; even better, they offer the additional Flash Pass that you can buy so you don’t have to spend time waiting in line. Fair Park is exactly as the name says: A park for the fair, but also for festivals, beer fests, football games, markets, and all sorts of other fun activities. Throughout the year the 277-acre land is converted to an endless variety of events that are fun for the whole family. 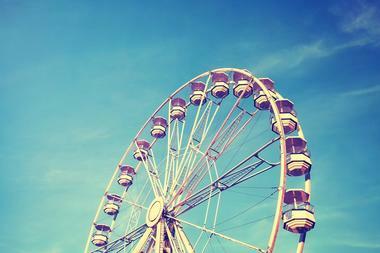 Rides, games, and food stands come up from September to October for one of the largest fairs in the nation, the State Fair of Texas. Let’s not forget the Texas Star Ferris Wheel, which carries riders 20 stories high and will give you spectacular views of the downtown Fort Worth skyline on a clear day. The park is also home to the Cotton Bowl Stadium, which is a great way for the family to spend the day with food, football, and fun.